From crime beat reporter for the BALTIMORE SUN to award-winning screenwriter of HBO’s critically-acclaimed The Wire, David Simon talks with Bill Moyers about inner-city crime and politics, storytelling and the future of journalism today. The newspaper morgue is no longer just back issues — it’s holds growing number of defunct papers around the nation. Get the stats on the changing media landscape. And, Bill Moyers and David Simon reflect on what happened to the news business. How are America’s downtowns faring up in the downturn? The U.S. has five percent of the world’s population and 25 percent of the world’s prisoners — how did we get here? The other day I happened to hear an interview on the BBC with a US investor who had some pretty awful things to say about the UK economy, and why he wouldn’t invest a red cent in this country. The BBC interviewer, in a futile attempt to head him off at the pass, accused him of creating a panic to which he replied, ‘I don’t have any investments in the UK so I have nothing to gain’, in other words it’s not his problem that the UK economy is broke. He didn’t mention the fact that around 70% of Britain’s GDP is consumer spending, but of course it only exists because of a financial sector shoveling out loans as fast as it could print the money. So in effect, a good chunk of consumer spending is actually part of the financial sector’s income, take that away and it collapses and that is exactly what has happened. 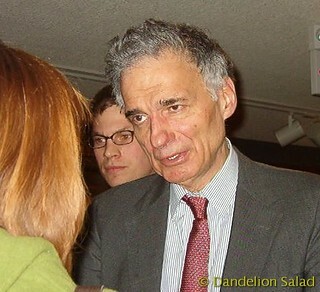 Tomorrow I will go to a polling station in Princeton, N.J., and vote for Ralph Nader. I know the tired arguments against a Nader vote. He can’t win. A vote for Nader is a vote for McCain. He threw the election to George W. Bush in 2000. He is an egomaniac. Brian Moore, the presidential nominee of the Socialist Party USA, spoke about his presidential campaign and the Socialist Party platform. He also talked about socialism and recent charges the Democratic Senator Barack Obama’s economic and tax plans were “socialist.” He responded to telephone calls and electronic mail. The announcement comes at 2:37 in the video. Democrats might be particularly interested since it’s something they’ve claimed they wanted Ralph to do rather than run in the previous elections. A hopeful Obama supporter searches for Barack’s courage. Watching the Democrats in the final weeks of the presidential election has been a lesson in revisionist history. While they lament the terrible crimes perpetrated against the American people by George Bush and vow to keep fighting for our rights, they conveniently gloss over the fact that they have no standing to make such claims. Indeed, the Democrats, including Senator Barack Obama, have actually voted with President Bush’s agenda, making them complicit in his acts, not valiant opponents defending our liberties. The presidential elections in the US, once again, provide an acid test of the integrity and consequential conduct of US intellectuals. If it is the duty and responsibility of the public intellectual to speak truth to power, the recent statements of most of our well-known and prestigious public pundits have failed miserably. 1.Obama publicly and repeatedly promises to escalate the US military intervention in Afghanistan, increasing the number of US troops, expanding their operations and engaging in systematic cross-border attacks. In other words, Obama is a greater warmonger than Bush. The title for this piece was a very unfortunate statement that Nancy Pelosi made after she handed the banksters on Wall Street 700 billion dollars of our money. This was a whopper of a crime that bailed out fabulously wealthy people who took risks that made them rich on the way up and now again on their ways down. I don’t know about you all, but I could have a heckuva party with 700 billion dollars! One of the corporations that has now received around 100 billion dollars in federal bailout funds is AIG. This firm has continued to party all over the country: treating its associates to fabulous retreats at taxpayer’s expense. Not only is AIG still partying hardy, but according to the Pelosi’s recent financial statement, they own between 250-500 thousand dollars in AIG stock. Can we all say, conflict of interest? I think it’s about time that the establishment media here in San Francisco quit giving Ms. Pelosi a free pass on her unethical and non-progressive values and actions and start asking her some relevant questions. I think the new paradigm can begin this week when Nancy is on The Forum with Michael Krasny on KQED. We brainstormed a few questions that Michael could ask Pelosi…well more than a few! • Why do you say that you are against the occupation of Iraq when you have given George Bush billions of dollars of “blank checks” to wage it? • Why did you vote to give Bush the authorization to attack Afghanistan, when Afghanistan never attacked the US? Why did you vote for the freedom and Orwellian named stealing USA PATRIOT Act? • What did you know about the administration’s inhumane and grisly policy of torture and when did you know it? Why did you allow it to continue? * Why do you support the No Child Left Behind Act that is effectively destroying our education system and allows for the active recruitment of our young people by military recruiters? • Why did you give telecoms and BushCo immunity from warrantless wiretapping? 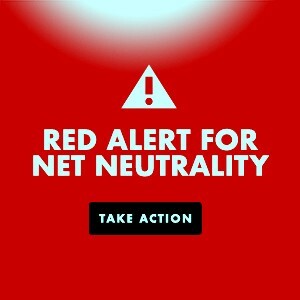 Why did you destroy our 4th amendment by the FISA Modernization Act? • Why did you give the banksters on Wall Street 700 billion dollars when people are starving and sleeping on our streets? • What is your plan to pump liquidity into the people’s economy to allow prosperity to gurgle up and no longer trickle up? • Why did you take impeachment off the table when the Bush Administration have clearly committed high crimes and misdemeanors and why did you say on The View that you didn’t know of any crimes Bush had committed after Congressman Dennis Kucinich charged him with 35 impeachable offenses? What are and what will the implications be for allowing BushCo to slink off unpunished? • Why did you cave into the Republicans and allow the ban on offshore drilling to expire? • Why do employees in your companies not belong to labor unions? Why do you support free trade agreements that oppress workers and destroy the environment? • Why are you claiming in campaign literature that you obtained federal funds to clean up the Hunter’s Point Naval station to help the community of Bay View, when the funds were to be used to decontaminate the area where you hope the new stadium for the 49ers will be placed? * Why did your Congress not work to protect our elections from fraud and tampering of voting machines that can be easily compromised? • Why haven’t you held a town hall meeting in the district since 2006 but you have the time to sell books and fund raise all over the country? • Why won’t you debate your Congressional opponents? What are you afraid of? I would love to tell Nancy Pelosi that her party is over, but I highly doubt that the establishment media here in San Francisco will suddenly grow some journalistic integrity and actually hold her feet to the fire where they belong. I would also love to tell her this to her face, but like her best buddy, George Bush, she won’t face me and answer questions about issues that truly affect us all. 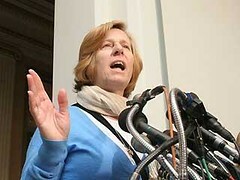 Garnering national attention, peace activist Cindy Sheehan is now running for office against incumbent Democrat Nancy Pelosi in California’s 8th Congressional district. Cindy promised the House Speaker that if impeachment proceedings against George W. Bush did not start when Pelosi took control of the House last year, she would run against her in the next election.